A multisensory wonder - the proof is in the padding! Provides a variety of fun activities and tactile sensations. 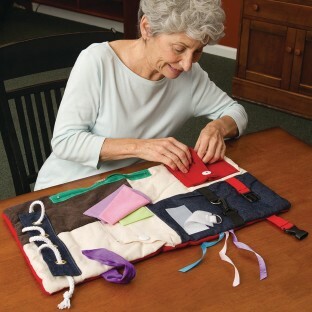 Designed to keep residents with dementia active and busy. Features lacing, buckling and zipping activities. Plus a flip-and-feel assortment of fabrics and ribbons. 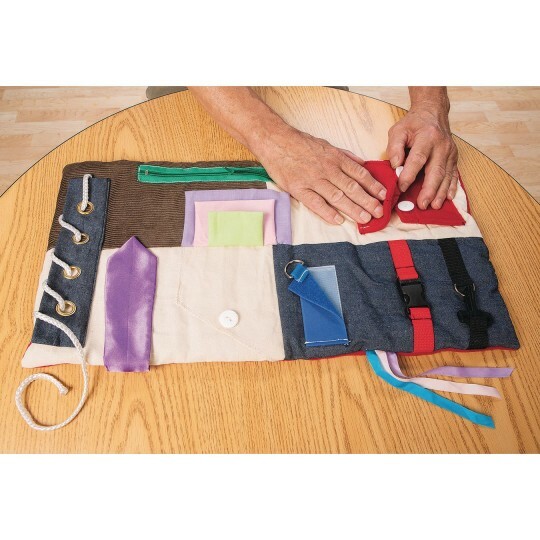 I use this for my dementia residents who have are unable to talk but need sensory stimulation. Sturdy material bright colors. Good size to fit on lap. I am an Activity Director in a nursing home with patients with Alzheimers. This product work very well with my patients. Useful product and well made. This has been a very useful product at the hospital where I work.